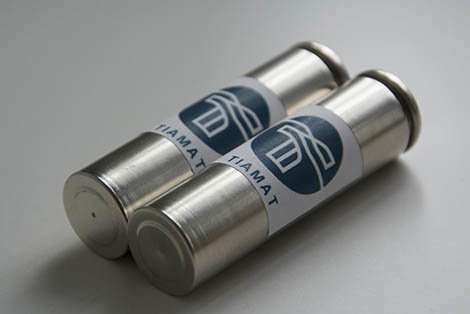 Tiamat, a company dedicated to the development and production of these alternatives to lithium-ion batteries, continues this work. Its goal is not to dethrone lithium-ion batteries, which are already used in most mobile electronic devices. Tiamat is positioned on power and continuity of service because of its long-lasting batteries (more than 10 years life expectancy versus three to four years for lithium batteries under continuous use conditions), and 10 times faster charges and recharges. This performance opens possibilities for use in areas such as stationary storage (mass storage of intermittent renewable energies, wind and solar) and mobile storage for electric vehicles (buses that can be recharged at the end of the line, for example). Tiamat is focusing on fleets of rental vehicles, which require short recharge times and need service continuity for users. With sodium-ion technology we can envisage new everyday uses, such as electric vehicles with 200 km of autonomy that recharge in a few minutes. After these technologies are approved, the company, based in Amiens, hopes to further develop its activity there. With strong support from RS2E, it is already working in collaboration with the academics and industrials in this network. This is a first step before being able to launch production of these batteries, if possible in France, which would make France a leader in these new energy storage solutions. Will they be cheaper than lithium batteries? If so I hope they get them on the market soon. That is the French spelling for Chile. This content is provided by CNRS which is the Centre national de la recherche scientifique. If sodium ion batteries are longer-lasting, faster-charging, cheaper materials, and more sustainable than lithium ion batteries, then what's the holdup? I believe the problem is energy density of the batteries. An 18650-format lithium battery might hold a lot more electric energy than a 18650 sodium battery. If the difference is less than about 30%, it probably wouldn't matter for stationary objects like the Tesla battery project in Australia. Even for EV vehicles it might not matter for some users. I might prefer a sodium-ion car with 160-mile range and 5-minute recharge, to a lithium-ion car with 240-mile range and 30-minute recharge. Very hopeful. But charging for an EV in 'a few minutes'? That may be possible, but only if you have a 0.5MW power supply to hand. Infrastructure development is the elephant in the room - even if someone develops a battery that can store 100kWh, weighs 5kg and charges in 2mins, you still have to get the electrons from the power source to the battery. @Shakescene21: What holdup? This is literally an article saying they're making a company to build them now. But charging for an EV in 'a few minutes'? That may be possible, but only if you have a 0.5MW power supply to hand. Which is quite possible if you charge from a buffer battery or supercap. E.g. a charging station could have such (expensive) equipment and simply soak up energy over time (from the grid or solar power or whatnot), and then release it in one go when a car pulls up.
" @Shakescene21: What holdup? This is literally an article saying they're making a company to build them now. " "...After these technologies are approved, the company, based in Amiens, hopes to further develop its activity there. With strong support from RS2E, it is already working in collaboration with the academics and industrials in this network. This is a first step before being able to launch production of these batteries, if possible in France..."
The article was originally written in French, so it's possible that it became distorted in translation to English.